Now you can have what may be the world’s most popular exhaust system installed on your 150, 160, or 180 H. P. Super Cub, or PA-12. 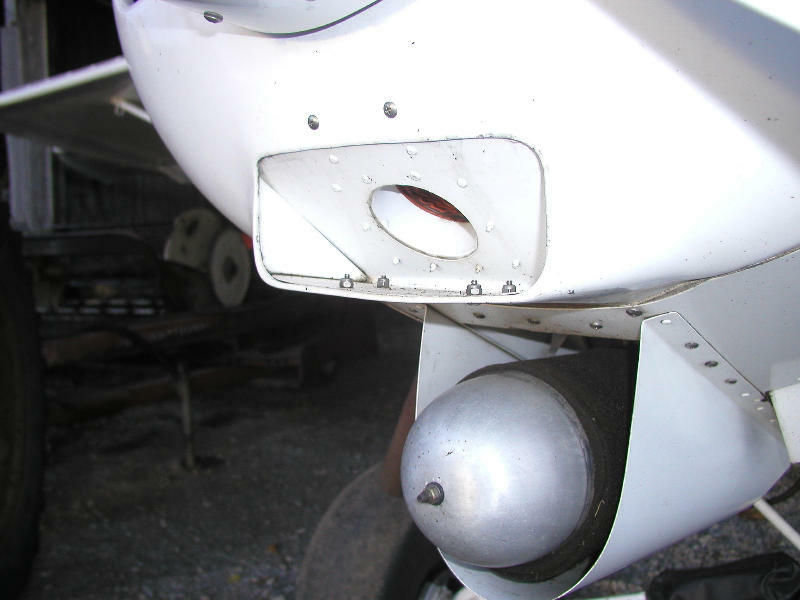 This muffler system has been time tested on many type certificated aircraft, and is known for its simplicity, and excellent scavenging characteristics. 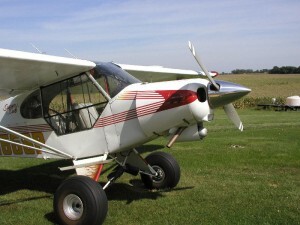 We have only modified it slightly to fit within a standard Super Cub cowling. 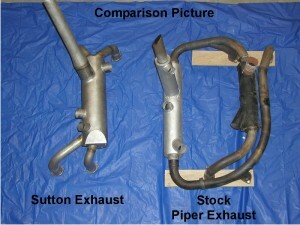 This exhaust system greatly alleviates the power robbing back pressure, and exhaust leaks, associated with original stock systems. Initial tests have demonstrated an increase in thrust of approximately 5%. The design philosophy is very simple – provide the shortest and easiest path for the exhaust gasses to escape with the least amount of resistance. 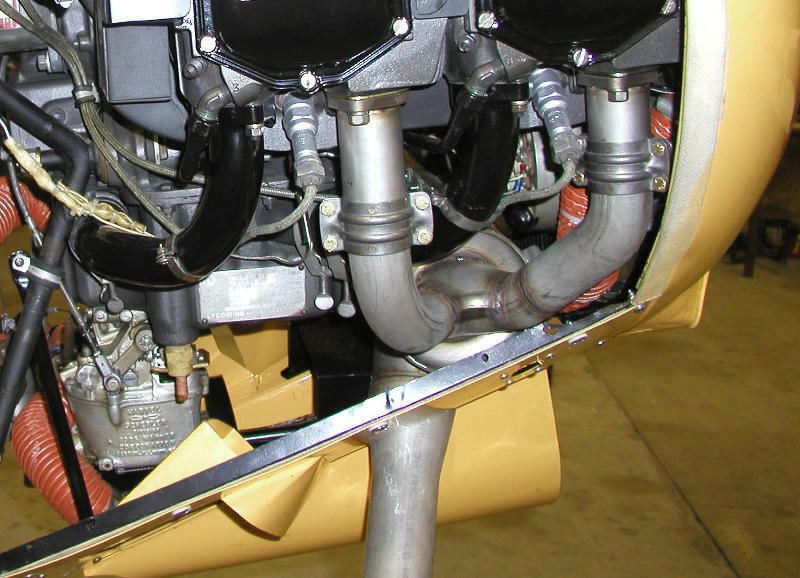 Our system has over 40% less tubing involved than standard systems, and no internal baffle to restrict gasses in the muffler can. 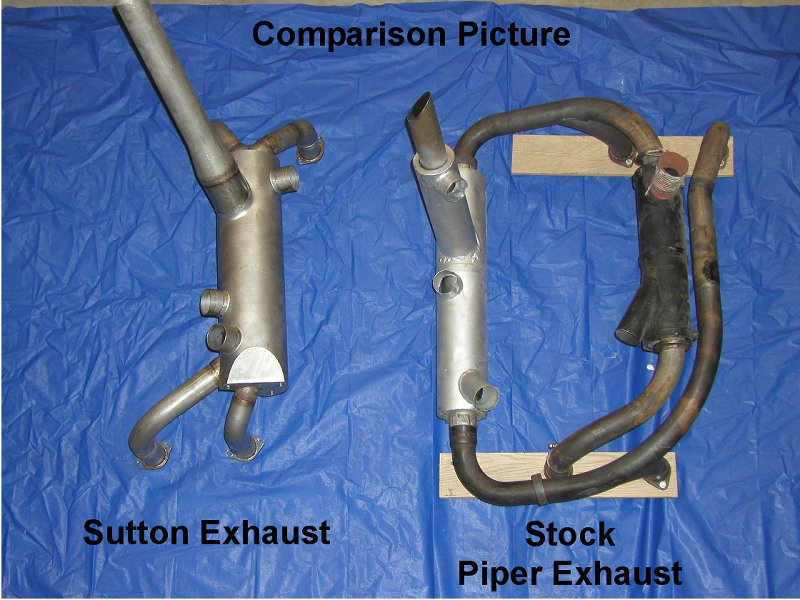 This large reduction in tubing, not only reduces exhaust gas pressure, but also provides for a cooler running engine due to the reduction of radiated heat. Trapped heat between the engine and firewall is nearly eliminated by moving the muffler can into the mainstream flow of cooling air. 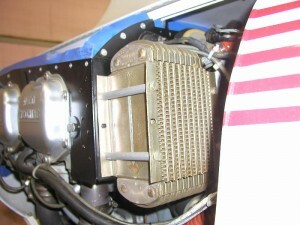 The cabin heat system also works much more efficiently due to the larger heat exchanging area. Also, keep in mind that this system is required should you decide to upgrade with our Constant Speed Propeller Conversion. In addition, our system is approximately 4 pounds lighter in weight, and offered at a price approximately equal to a standard replacement part. Special Bonus – Included in our exhaust system STC is an option that will allow the installation of a light weight, rear mounted oil cooler. This also allows the installation of a special cabin heater air-scoop in the original oil cooler opening, which is compatible with our new exhaust system. The amount of cabin heat is increased tremendously, oil temperatures are reduced dramatically, and the overall weight is 4 pounds lighter. Although you will have to purchase your new oil cooler separately if you choose to use this option, the approval paperwork is included, and free of charge.